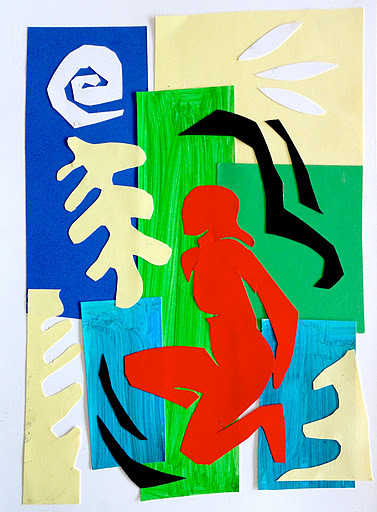 Inspired to Matisse’s collage, the students of 9th grade realized this collage starting from a magazine picture of any whole figure. 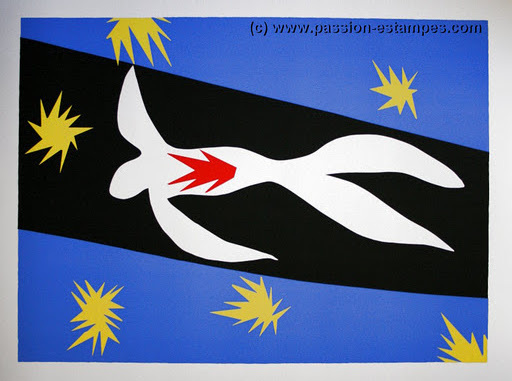 This figure has been stylized in a simple silhouette and cut out from a coloured cardboard. 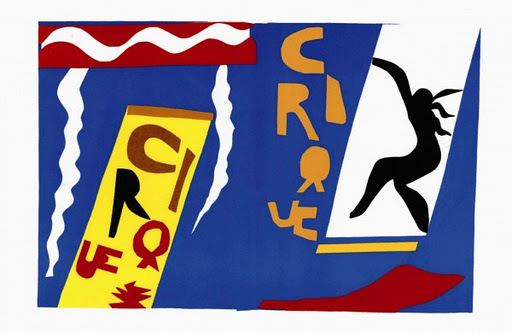 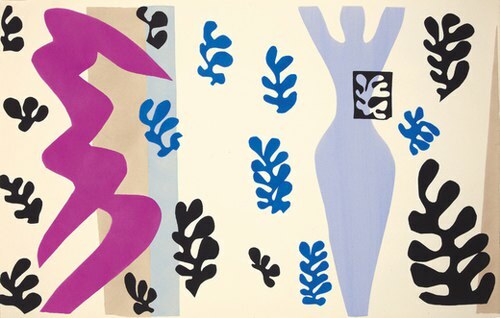 The collage is completed with the typical Matisse’s shapes. 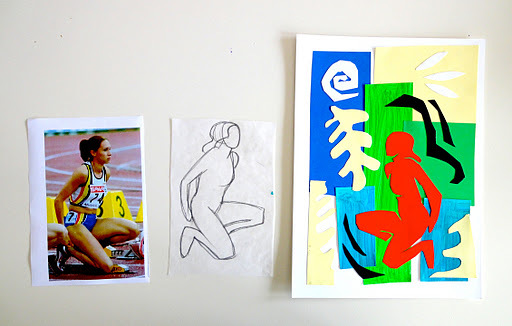 Some cardboards are painted with tempera guache.